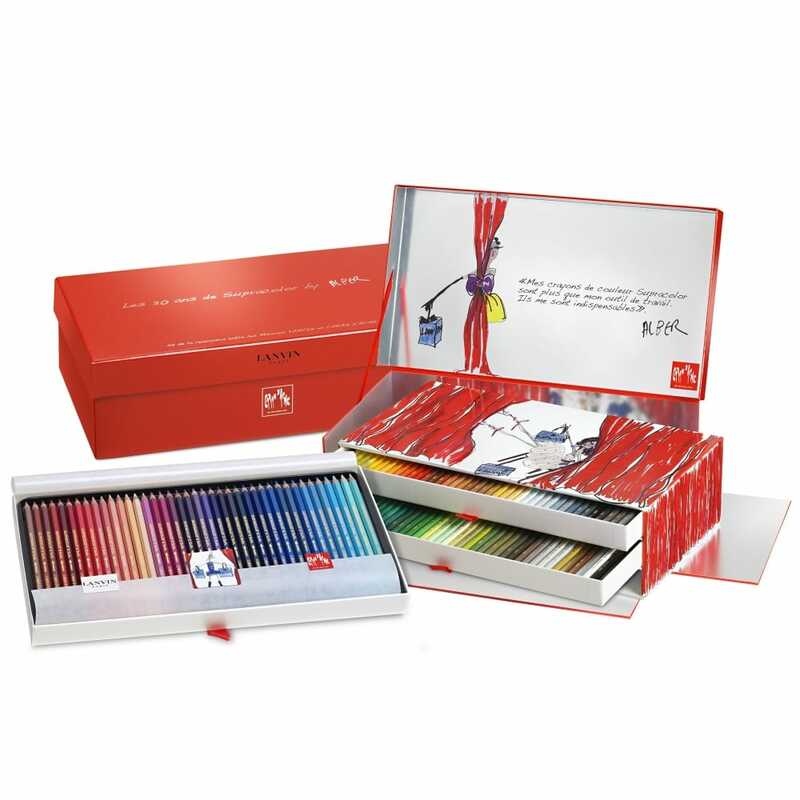 Celebrating 20 years of Supracolor pencils and the box has been designed by Alber Elbaz the former Artistic Director of Lanvin, Paris one the world's oldest fashion houses, is this stunning glossy Caran d'Ache red box with three drawers of pencils that are all wrapped in protective tissue and protected by foam inserts. An informative leaflet, a certified record of the limited edition number and embellished with Alber's sketches this is truly a work of art and an outstanding gift for all artist's. The drawers opens gently and in the first one is 40 colours and then open the 2nd and 3rd to discover the further 80 colours that make up the 120 shades in the Supracolor spectrum. Supracolor pencils are soft-leaded and water-soluble as well as break-resistant and highly light-fast. The hexagonal casings are made of finest FSC-certified cedar wood. With their thick soft leads Supracolor watersoluble colour pencils are suitable for all drawing techniques and meet the most demanding requirements of artists and creative professionals. They can be used dry or applied with a moist brush offering unlimited possibilities for blending and combining with other media.